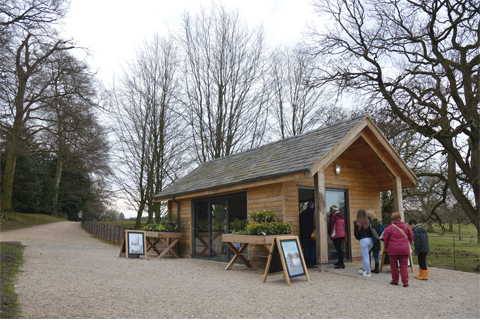 Following our successful design and installation of a new visitor car park and entrance drive at Hare Hill Gardens, completed in 2015, Cass Associates was re-appointed by the National Trust for two further visitor facility projects – conversion of listed ‘backsheds’ to the historic walled garden into WCs and ancillary stores, followed by a new ‘Welcome’ building adjacent to the car park. Both projects are now complete and fully open in time for the peak summer season. As well as providing architectural services, Cass Associates’ planning consultants obtained statutory planning and listed building consents. The designs use natural materials, in particular oak cladding and ‘green’ oak frames, in a contemporary manner that sits comfortably within the historic environment.